This was my sixth time to visit Cambodia but only my first time in Siem Reap and loved it. Having lived before in some very good digital nomad cities such as Prague (Czech Republic), Granada (Spain) and Chang Mai (Thailand), I know what makes a great digital nomad destination. Expect to pay $3 to $5 for a main course in and around the Pub Street area. Pub street appeared to be 2 different streets, well that was my impression. The cheapest food options are on Street No.9 and I thought the best options are on the alley in between Street No 8 and 9. There are of course the fast food chains of McDonald's and KFC. Siem Reap is now getting a reputation for a great and diverse nightlife scene. Pub Street says in all in the name, it just all bars and restaurants. 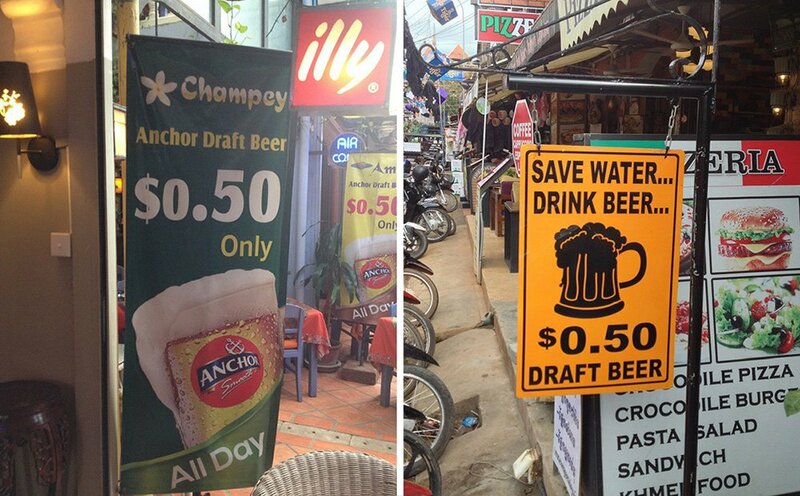 On Pub street and the surrounding streets nearly all the bars and restaurants sell a local beer for only $0.50 (normally Cambodia or Angkor beer) and try to make their business on food. 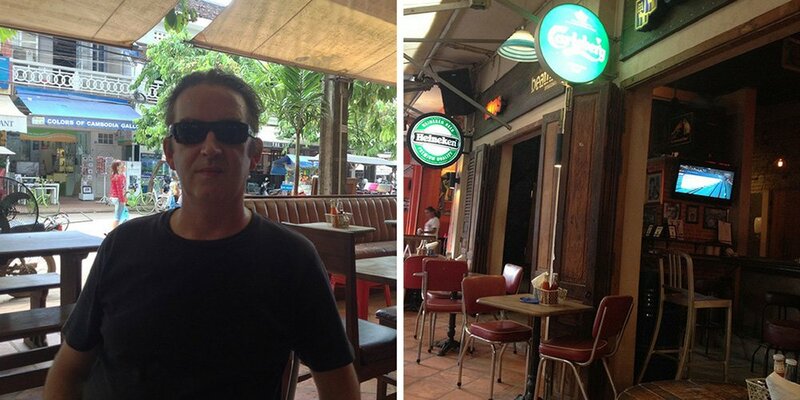 That’s me at my favourite bar in Siem Reap, Beatnik Bar. We entered Cambodia via the Hat Lek/Ko Kong Border crossing. A normal tourist visa costs $30 (30 days) but as I intended to stay longer I got the business visa which costs $35 (also 30 days but it's renewable). Don't forget you have to have 2 passport size photos. Then extending your visa is fairly easy if you want to stay longer the 30 days. Just go to a tourist agent and they will gladly do it for you. It takes up to a week because your passport has to sent to Phnom Penh for processing. You can find more information about this here. 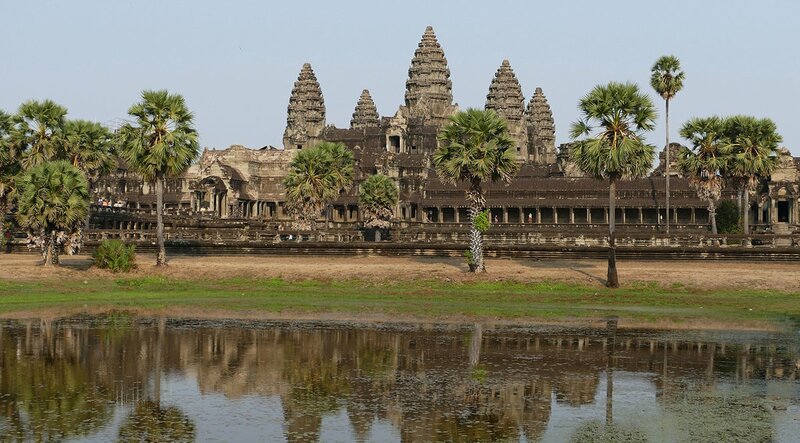 For obtaining your Cambodian visa in advance, I recommend iVisa. 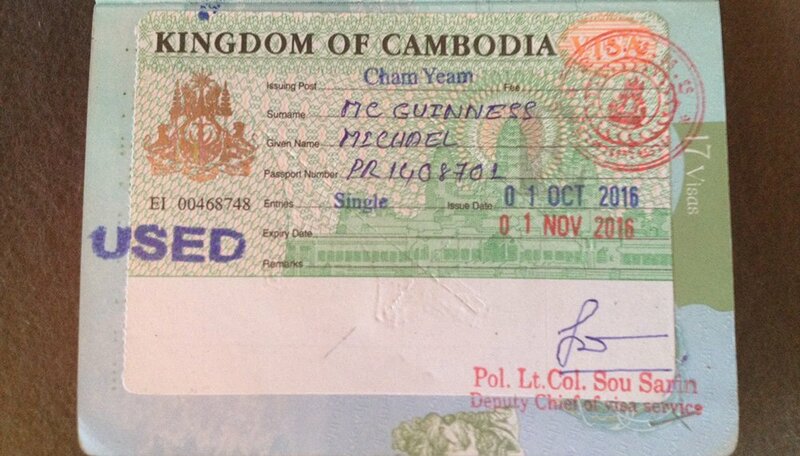 Here what your Cambodian Visa will look like. 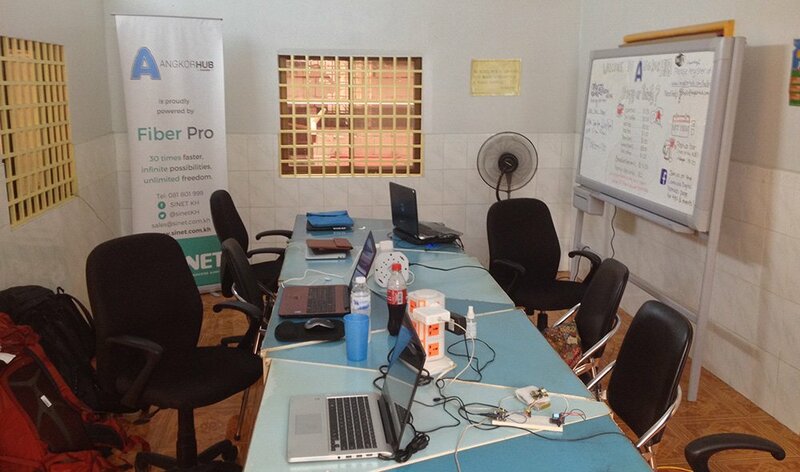 There are 2 excellent coworking spaces located at either end of the city centre. I spend a few days in both of them. Angkok Hub is only a 10 min walk from the center, and was difficult to find as it's off the street. You can work inside in the A/C or outside. They offer cheap lunch option if you are there all day and they cost only $5 per day. The wifi download speed was 14 mbs per second and the upload speed was 24 mbsp per second when I tested it. 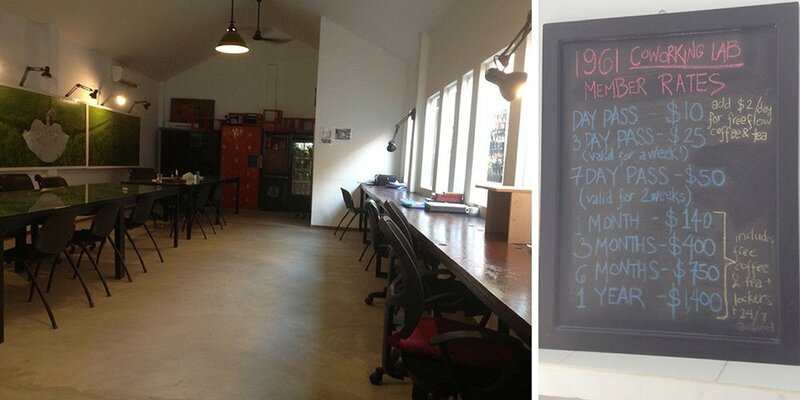 1961 coworking space is far more flash than Angkok Hub. 1961 is a vast complex that includes an Art Gallery. It's like a coworking space in Europe and costs $10 per day. The wifi download speed was 8 mbs per second and the upload speed was 9 mbs per second when I tested it. If you prefer to work in a cafe, there are a few good options in the centre. 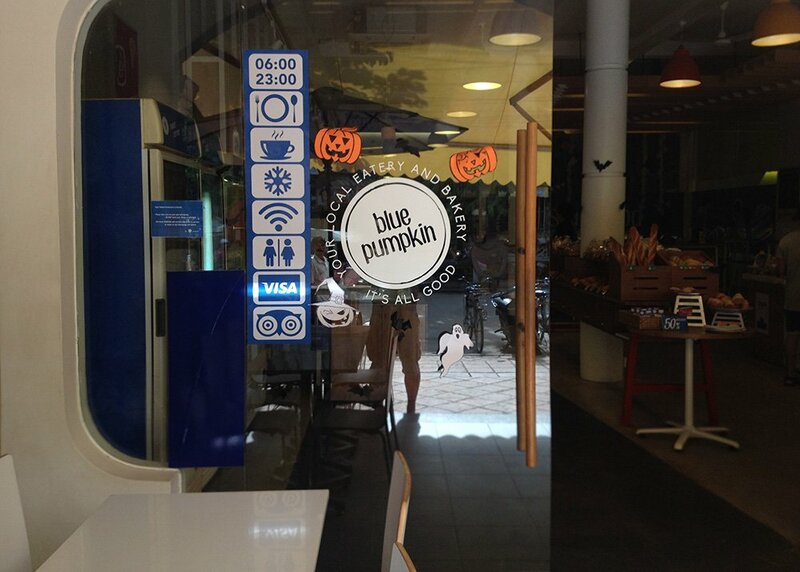 Blue Pumpkin is a small chain of Cambodian Coffee shops in Cambodia. 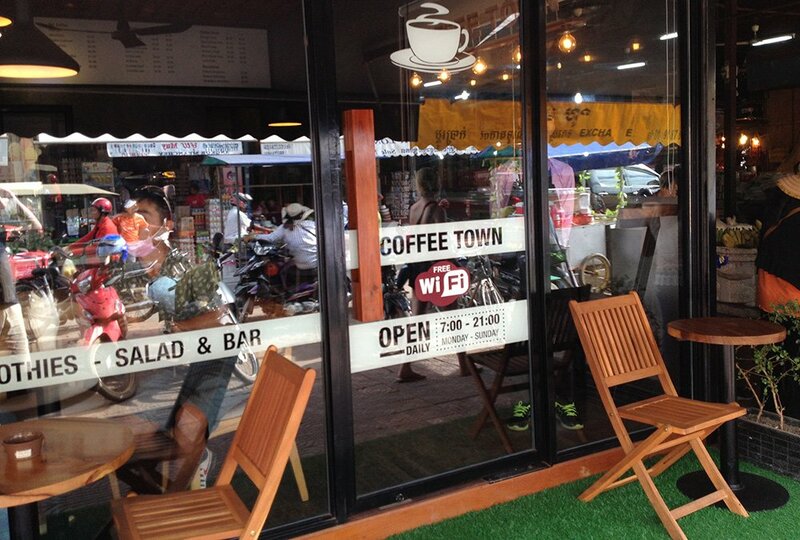 Their cafes are always very digital nomad friendly. Personally, I would settle for cheaper rooms with a fan, but as I travel with my wife and 3-year-old boy so we have to have air conditioning (to keep the baby cool). You can get a double room with a fan for as low as $10 per night or a dorm bed in a hostel for as low as $3 per night. But expect to pay $20 to $40 per night for a decent hotel with air conditioning and a pool. This, of course, is fantastic value for money. 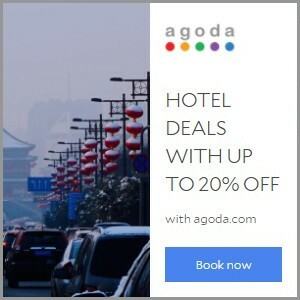 I recommend Agoda.com if you are looking for a hotel or guesthouse and Hostelworld.com if you are looking for a private room or a dorm bed in a hostel. We managed to get this excellent hotel as a deal for only $20 per night on Agoda (including breakfast which was served in the room). It normally goes for $40 plus per night. I can't recommend this hotel enough. The room at La Rose Blanche Boutique Hotel. It has a beautiful swimming pool and you get a free tuk-tuk to the centre (you have pay for your way home). The customer service was absolutely excellent. The Wifi was very good as well. We would have stayed here longer but it was already fully booked. Day Day Inn features an outdoor swimming pool. This is another excellent budget accommodation option with Double with A/C starting at only $13 per night. 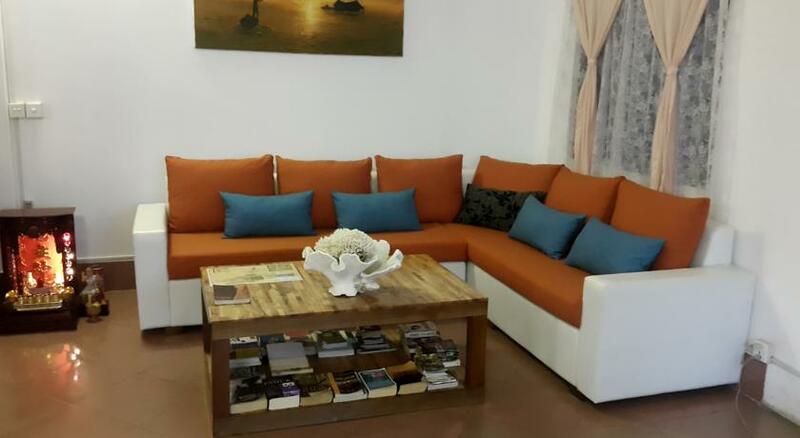 This Guesthouse has a very contemporary feel to it and Free WiFi is available in all rooms. 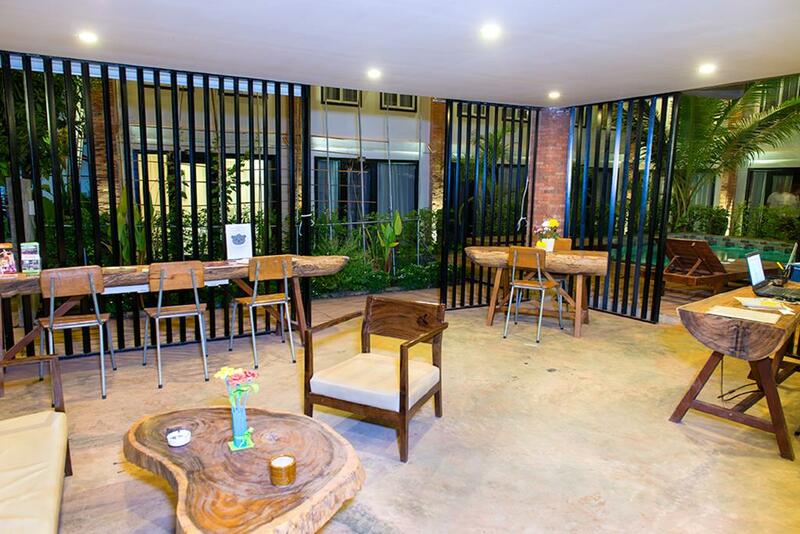 It's perfect for Digital Nomads as it has a small Business Center in the Lobby. The vibrant Pub Street area and Old Market are 2.8 km away and Angkor Wat is 8 km away. The property offers airport transfers and shuttle services at additional charges. 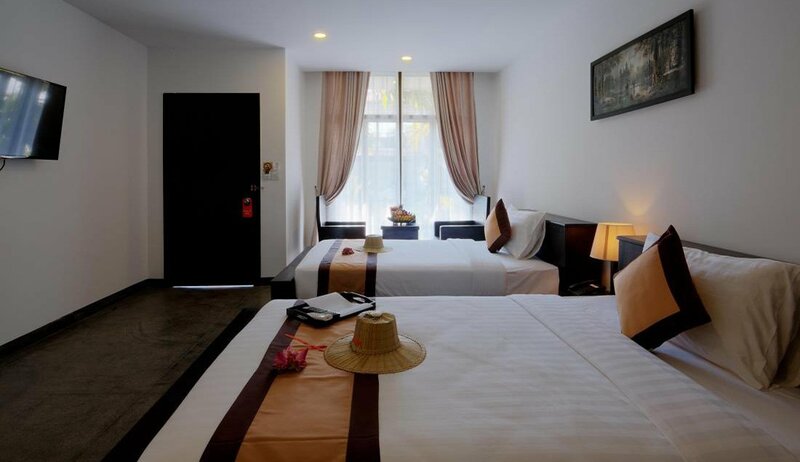 All rooms are air-conditioned and are fitted with a flat-screen cable TV. Some rooms have a seating area. En-suite bathrooms include shower facilities, a hairdryer and free toiletries. 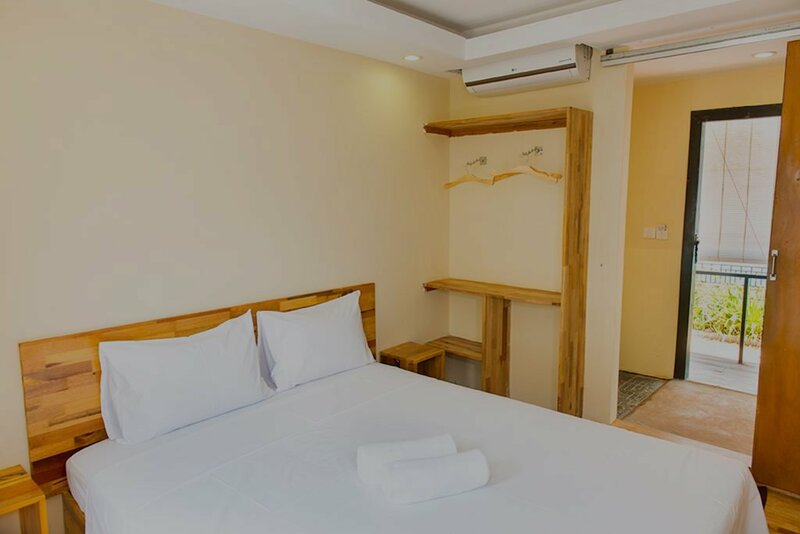 Schein Guesthouse & Restaurant is located in the heart of Siem Reap and extremely good budget accommodation with a Twin room with fan only starting at only $10 per night. 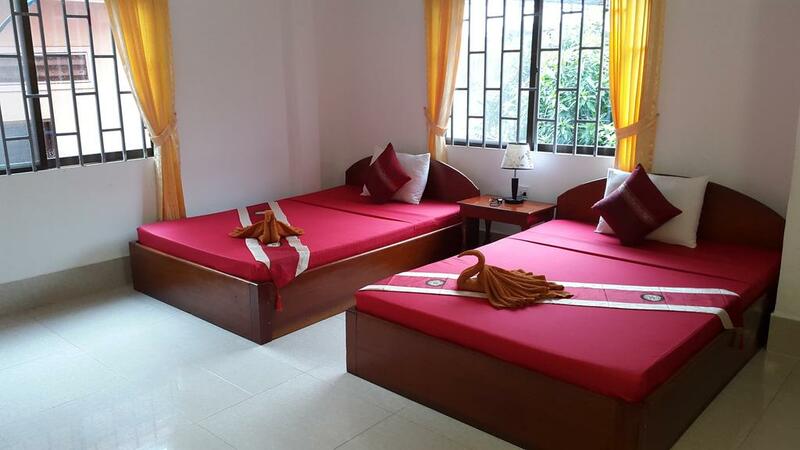 This Guesthouse gets a rating of 9.2 on Agoda which is amazing. It provides free WiFi access and offers free pick-up service from the airport, boat station or bus station. Schein Guesthouse is 700 m from the Tourist Information Office, Pub Street, Night Market while Angkor Wat is a 15-minute tuk-tuk ride away. Fitted with a fan or air conditioning and all rooms have a cable TV. A 24-hour front desk, tour desk and luggage storage facilities are available. Room service also is provided. 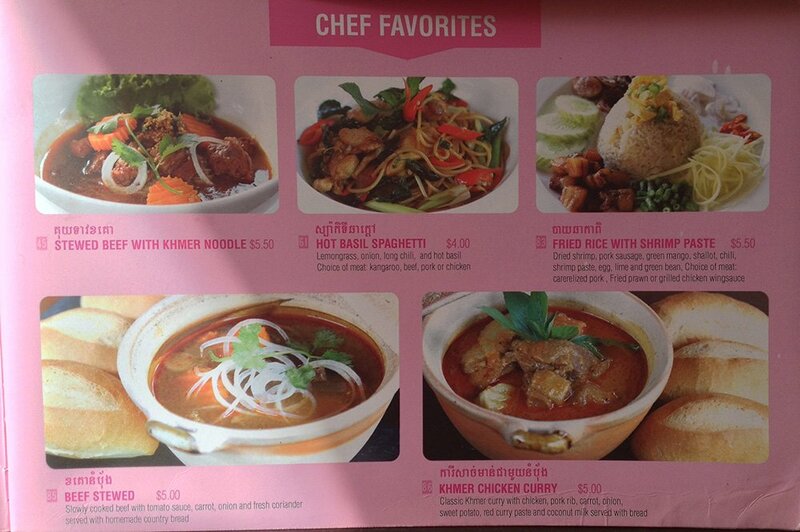 The restaurant serves Cambodian and Western food, cold beers as well as free tea and coffee. 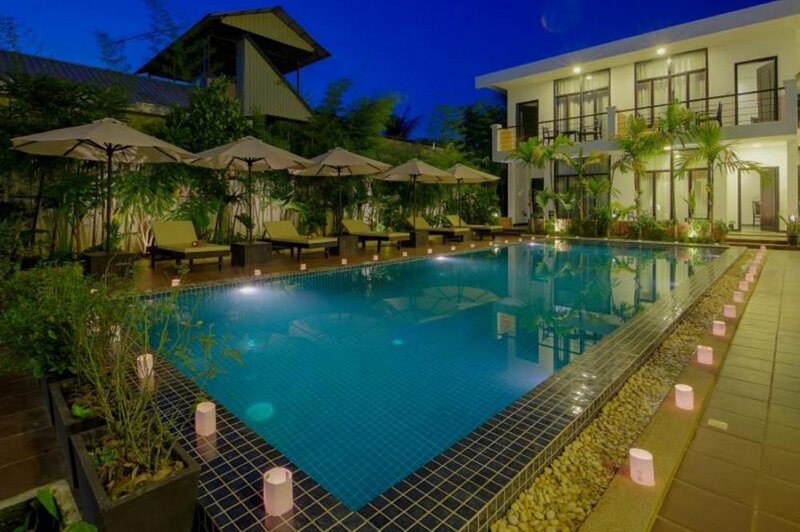 If you intend to stay longer there are many serviced apartments in Siem Reap. These start at $200 per month. For $300 you get a very nice apartment. 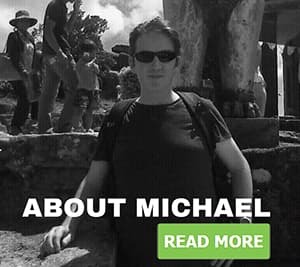 These are some of the best resources:- The Facebook page Siem Reap Real Estate was recommended to me. 2 other good websites are Angkor Wat Real Estate and Siem Reap Properties. The centre of Siem Reap is very walkable and if you do need to get a 5 to 10 min tuk-tuk ride, this only costs $2. Make sure to set the price before your journey. If you leave yourself vulnerable the tuk-tuk driver will take advantage of this and try to charge you more. Also, it is very popular to rent a bicycle. 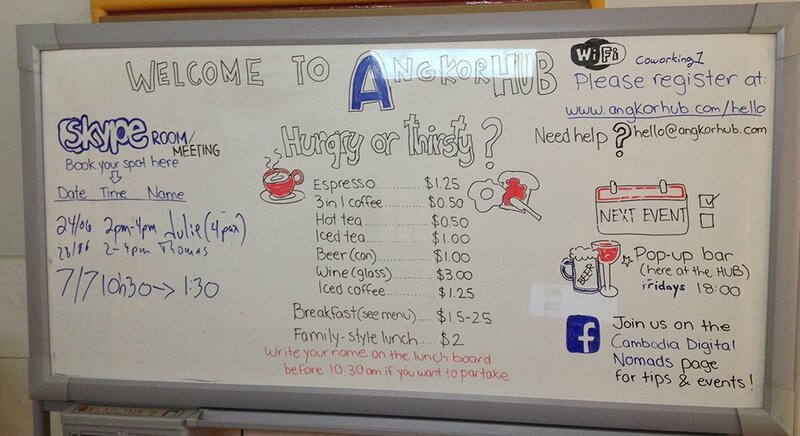 A lot of hotels/guesthouses/hostels offer the service and normally cost $3 per day. 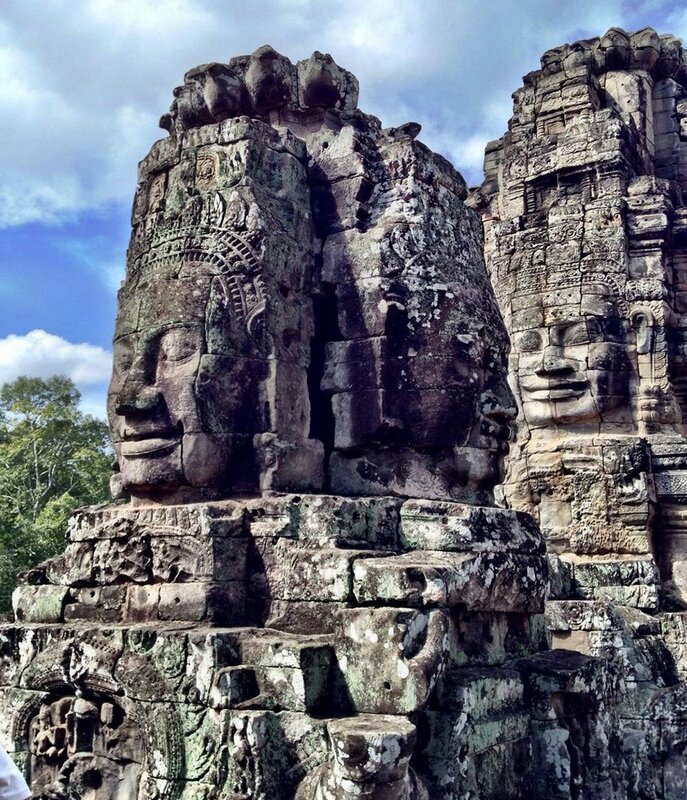 A visit to Siem Reap is not complete without at least one visit to the Angkor Wat Temples. Your hotel will arrange a tuk-tuk to take you to the different Angkor Wat Temples. This normally costs $15 for the day and the entrance fee is $20. Don’t forget to bring water. At Angkor Wat, it seems to be far hotter (and more arid) than Siem Reap. Don’t wear flip-flops, if you have hiking shoes/boots wear them, if not wear trainers. Bayan Temple in the Angkor Thom Complex at Angkor Wat. 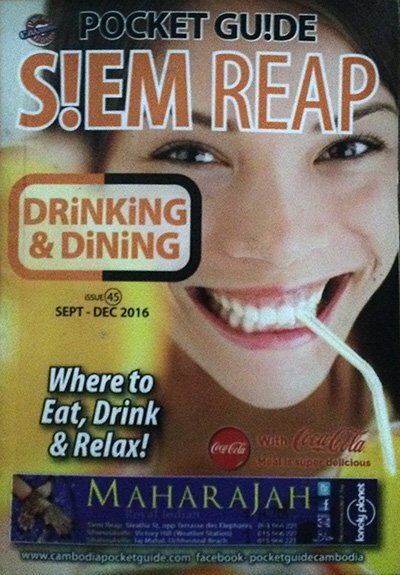 Be sure to pick up a (free) copy of Siem Reap's pocket guide. You will find this in all bars, restaurants and hotels in Siem Reap. 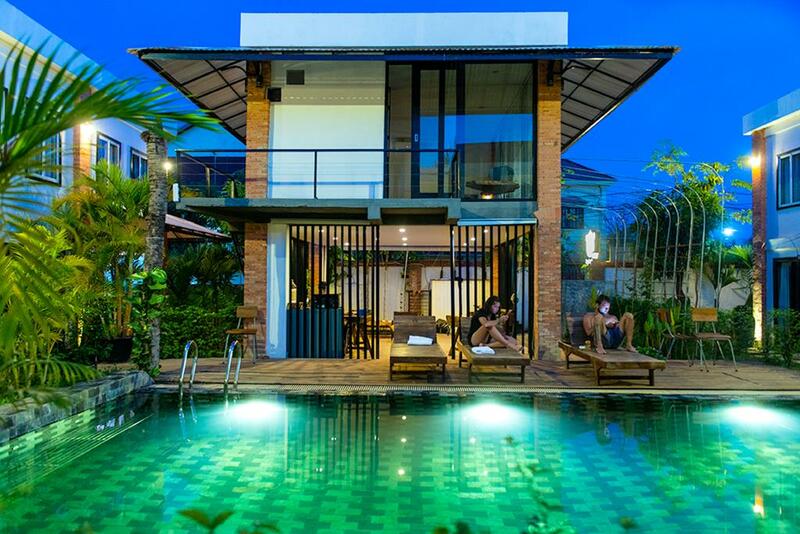 This lists all bars, restaurants and hotels in Siem Reap. Last but not least don't forget to buy travel insurance. I always use World Nomads Insurance while travelling in Asia. They have travel insurance packages to suit every kind of traveller. It cost's approx €100/$120 per month and for this, you will get very comprehensive cover. Disclaimer: I have included affiliate links in case any you want to book accommodation or travel insurance. I receive a small commission for any sales made, without any additional cost to you. Great to get some detailed info on this up-and-coming digital nomad destination. I’ve been hearing great things about Cambodia and just seeing the pics of that mouth-watering food makes me want to Reap the benefits of this low-cost destination!